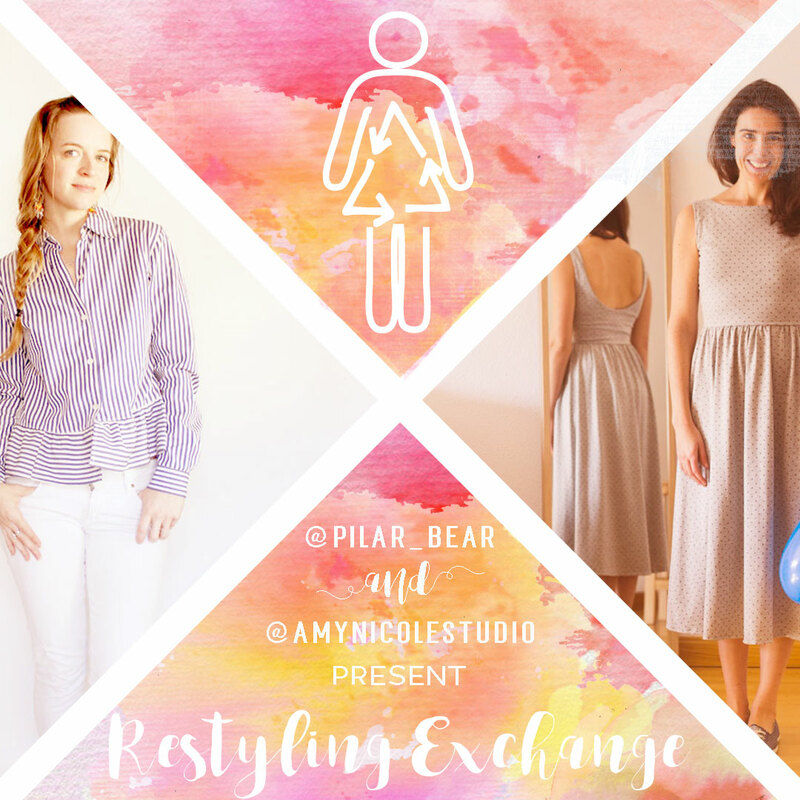 Introducing the First Annual Restyling Exchange! Y’all! I am so stinkin’ excited to finally be posting about this project! It’s the first annual RESTYLING EXCHANGE!! (insert fanfare + confetti). Pilar and I have been working on this for a month or so now and the anticipation has been building and the time is finally here to share it with you lovely folks. As you all know I am a huge fan of refashioning, and I also love all the fun instagram parties & hashtag prompts that show up throughout the year.. so I’m super pumped to be starting up this new instagram swap with the lovely Pilar Bear. It was created by myself and Pilar of the sewing blog Pilar bear. I have followed Pilar on instagram for a while, but we really became “insta-friends” when I was lucky enough to take part in her pattern share a while back (really fun if you haven’t tried to join yet! – follow @pilarbearpatternshare on instagram to follow it). About a month ago, I Pilar posted a photo of a project she was refashioning for a friend, who was in turn refashioning something for her (each original garment would be returned to its owner after it was refashioned). I thought this was such a cool idea, and as I was trying to think of someone I might ask to trade refashion projects with.. the thought dawned on me: “How coo would it be if this was a community wide swap! ?” .. which is what I more or less said in the comments on Pilar’s post. Since Pilar has arranged her own pattern share and participated in the sewing valentine exchange.. she was no stranger to instagram swap parties. She sent me a message that day saying “I think you have something here.. lets brainstorm about this!” And the rest, as they say, is history!! We’ve been giddily hashing out all the details over email the past few weeks and are both thrilled to bring it out into the world. After signing up, you will go into that pile and pick out either one garment or a couple items that you would like refashioned. If you choose multiple items it is assumed that they will be used to make one “look”. You then will mail off these items to your Restyler (assigned by us based on your location and size). At the same time, you will be someone else’s Restyler (not necessarily the same person that has you), and you will receive a package of garments from them. In order to keep postage costs down, you will be assigned someone in your own country. We will also do our best to match people of similar size (you will enter your measurements in the sign up form). Everyone has about two and a half weeks to restyle the garments and send them back to the owner. – The exchange is open to everyone that has a public Instagram account AND feels they can restyle and give a new lease of life to an unworn garment. Deadline to sign up is April 30th (sign up link below!). – Again, you will be matched up by general size & location (no one will have to pay for international shipping). – You are welcome to use fabric from your stash in addition to the garment(s) sent to you to be restyled. – The pieces to be restyled must be mailed by May 6th, 2017 at the latest. The sooner you send them, the more time you’ll allow the restyler to plan and refashion your pieces. – The finished pieces must be returned by June 2nd, 2017. Please post them back to their owner as soon as they are ready. – You can use the hashtag #restylingexchange2017 throughout this time to keep us posted about your process. Maybe you want to post about the garments you’ve mailed off for restyling, or maybe you want to share your creative process and how you are approaching the refashion. Before and after shots are also very effective, don’t forget to post yours! – We will be having a dedicated weekend so that we can all share and see the restyled garments at once, so even if you’ve been posting about your make, don’t forget to join the community over the 9th, 10th and 11th of June. 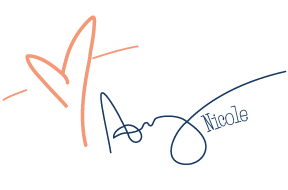 I cant wait for you to join us on this refashioning journey! I can’t wait to see what I get and what happens to mine!